Divorce is one of the most challenging decisions a spouse will confront during the marriage. Often there are children involved which makes the divorce even more complicated. At Rose & Associates, we understand what you are going through. Our experienced family law attorneys will guide you through this process and preserve your interests in the marital community and protect your ability to have meaningful relationships with your children. Divorce is a marathon not a sprint. Our office utilizes our experience not only as trained litigators but as spouses and parents and prepare you for life post divorce. The legal name for a divorce is a “dissolution”. Arizona is a no-fault state which means that neither party’s conduct is legal grounds for dissolution. The only basis for parties to have their marriage dissolved is when the marriage is “irretrievably broken,” or beyond reconciliation. Divorce is a very stressful and complicated process. If you are considering dissolving your marriage, you should consult a divorce lawyer in order to aid you in understanding the nuances of family law, such as the dissolution process, community property, spousal maintenance, and child custody / child support. However, if you would prefer to handle your divorce without legal representation, the Maricopa County Superior Court’s website provides do-it-yourself court forms for divorces. Questions frequently arise regarding the difference between a “divorce” and a “legal separation” in Arizona. For the most part, a divorce and a legal separation are fairly similar; however they do have some distinct differences that should be understood. Regardless of which route you take, you should know that both divorce and legal separation will result in the division of all your debts and assets, the entry of child custody orders, the entry of child support orders, and may also include an order for an award of alimony, if appropriate. It’s also important to note that if one party files for a legal separation and the other party files for divorce, the court is obligated to convert that legal separation case into a divorce case. A legal separation case may be different from a divorce case in that you are not considered to be legally single after the completion of a legal separation and you, therefore, cannot remarry. Some reasons why people may choose a legal separation over a divorce is because their religious beliefs do not allow for divorce. Also, some health insurance plans allow group health insurance coverage even if the parties are legally separated, but not if they are divorced. When dealing with a legal separation or divorce, the term “legal decision-making” refers to the person(s) with the legal right to make all nonemergency legal decisions for a child, such as those relating to education, healthcare and religious training. Joint legal decision-making indicates that both parents share decision-making and neither parent’s rights or responsibilities are superior. Parenting time means the schedule of time during which a parent has access to a child. Sole legal decision-making means that one parent has the legal right to make major decisions for the child; the other parent is entitled to reasonable parenting time unless the court finds that it would seriously endanger the child’s physical, mental, moral or emotional health. Unless otherwise provided by court order or law, both parents are entitled to equal access to documents and other information concerning the child’s education and physical, mental, moral and emotional health. Arizona case law established in 1936 that the court could divide custody for definite periods of time if the best interests of the child would be served by doing so. This divided or joint custody means that the parents share in the responsibility for the child, although it does not necessarily mean they share substantially equal parenting time. In Arizona, alimony is called "spousal maintenance" which is money that one spouse pays to the other for support either during or after a divorce (or both). When spouses separate, one person may be unable to pay for regular living expenses, in which case a judge may require the higher earner—whether that is the husband or the wife—to assist the lower earner financially for at least some period of time. Spousal maintenance in Arizona will not necessarily be granted in every divorce or legal separation case. A spouse requesting spousal maintenance in Arizona must first establish they are eligible for an award of alimony because they lack sufficient property to provide for their needs, is unable to obtain employment that will cover their needs or is the custodian of a child of such young age he or she should not be expected to work, had a marriage of long duration and is of such an age he or she should not be expected to return to the workforce, or contributed to the educational opportunities of the other spouse. It is important, therefore, to look at the ability of a spouse to provide for his or her own needs, as well as the amount of property being awarded to that spouse seeking spousal maintenance. The court will also look at the income of both spouses to determine if alimony will be awarded. As a general rule, the court will consider ALL income received by either spouse. Distinguishing between community property and separate property during a divorce or legal separation case is one of the more complex processes associated with family law in Arizona and the law will often contain many exceptions to the generals rules discussed on this website. 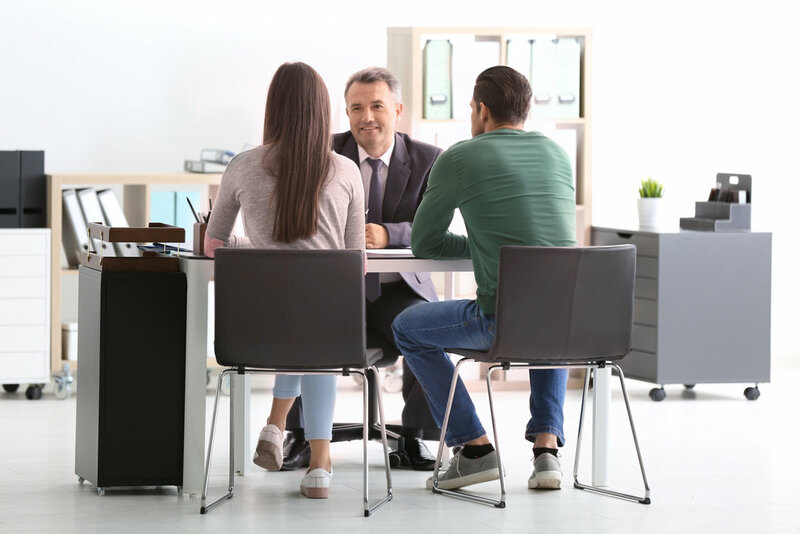 It is important that you speak with a qualified and competent Arizona family law attorney about your property, so you can properly establish what is considered to be community property and what is considered to be separate property in an Arizona divorce. Generally speaking, any property that was owned by a spouse prior to marriage is that spouse’s sole and separate property. Furthermore, any property acquired by a spouse through inheritance or gift is also that spouse’s sole and separate property. Additionally, any property acquired by a spouse during the marriage is typically labeled as community property and would, therefore, be equitably divided in a divorce or legal separation case. If a spouse’s separate property is found to have been commingled with community property, the separate property could potentially be converted into community property, if proper documentation is not provided to the court tracing those sole and separate funds.